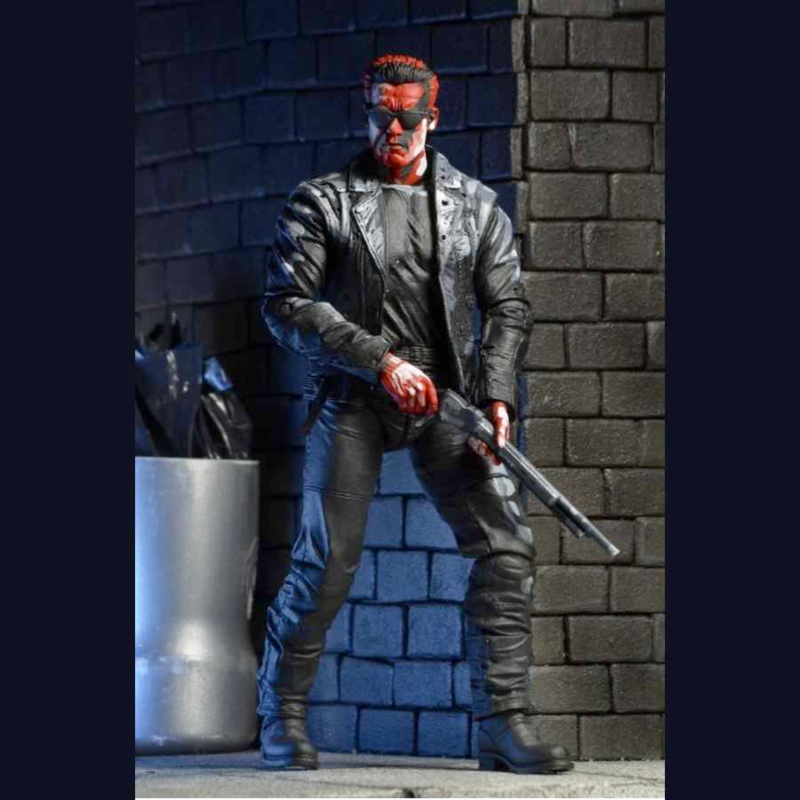 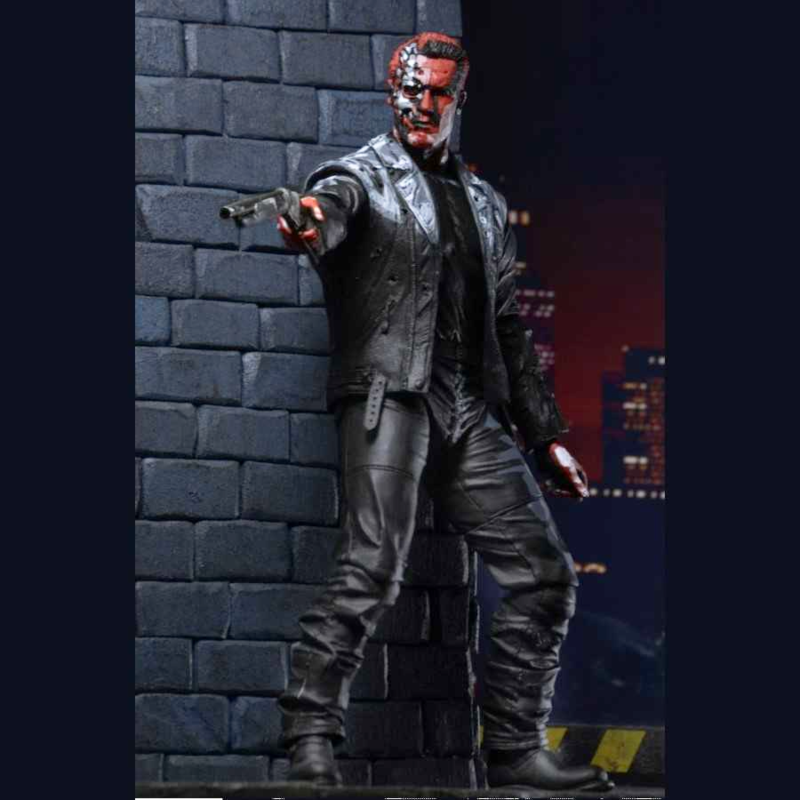 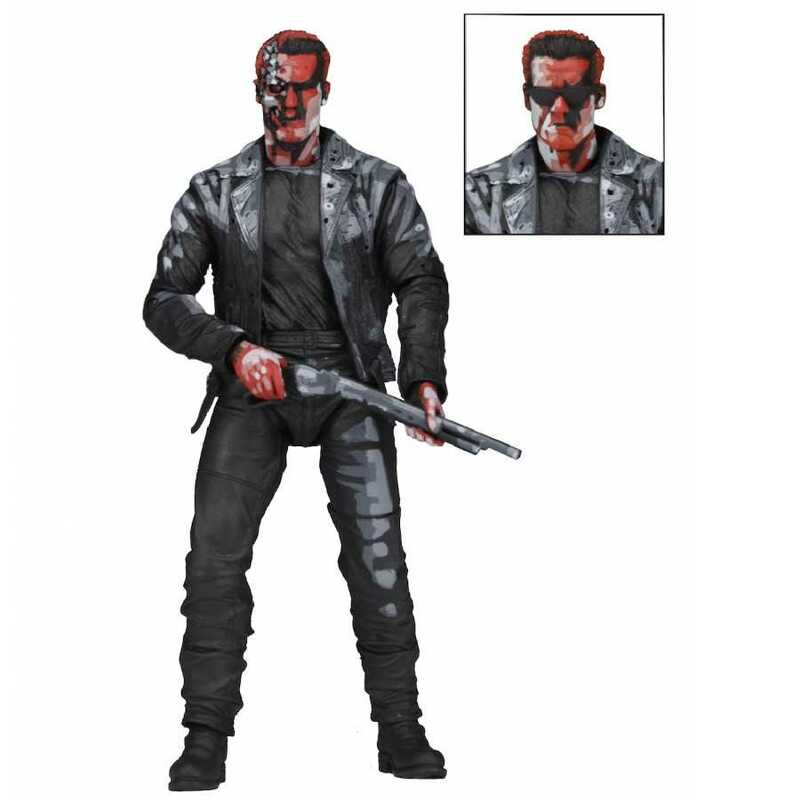 Straight from the classic 1991 Terminator 2: Judgement Day 8-bit video game, NECA has designed and created Cyberdyne Systems ultimate killing machine, the T-800 who now joins the Classic Video Game Appearance tribute figures. 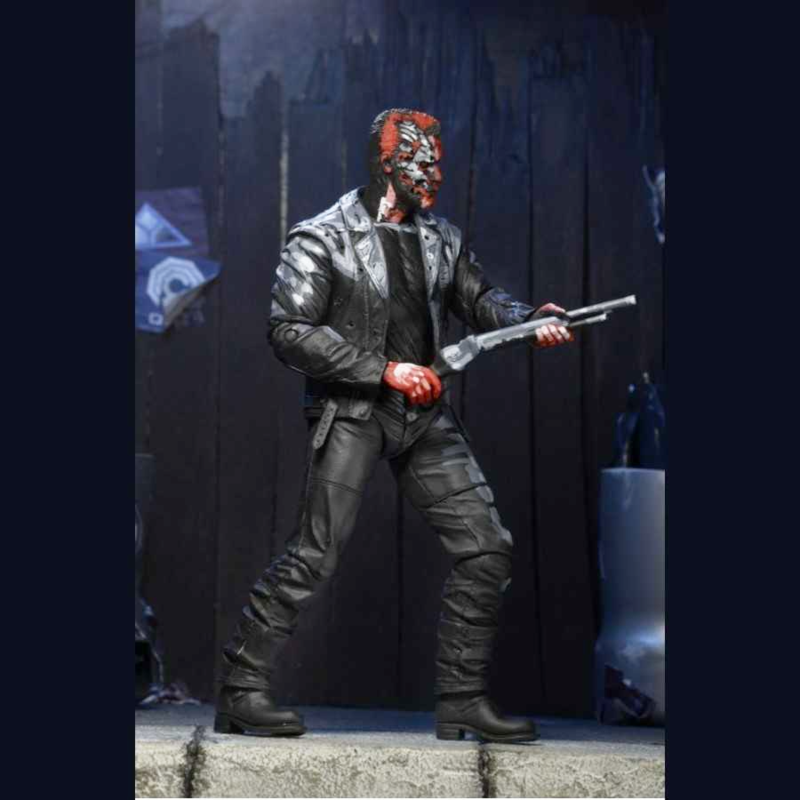 Standing at 7″ in height and featuring the new 'Ultimate Body' design complete with regular and battle damaged interchangeable heads, a shotgun accessory, nearly 30 points of articulaion for great poses and comes with a special stylized paint design to reproduce the look of the video game character. 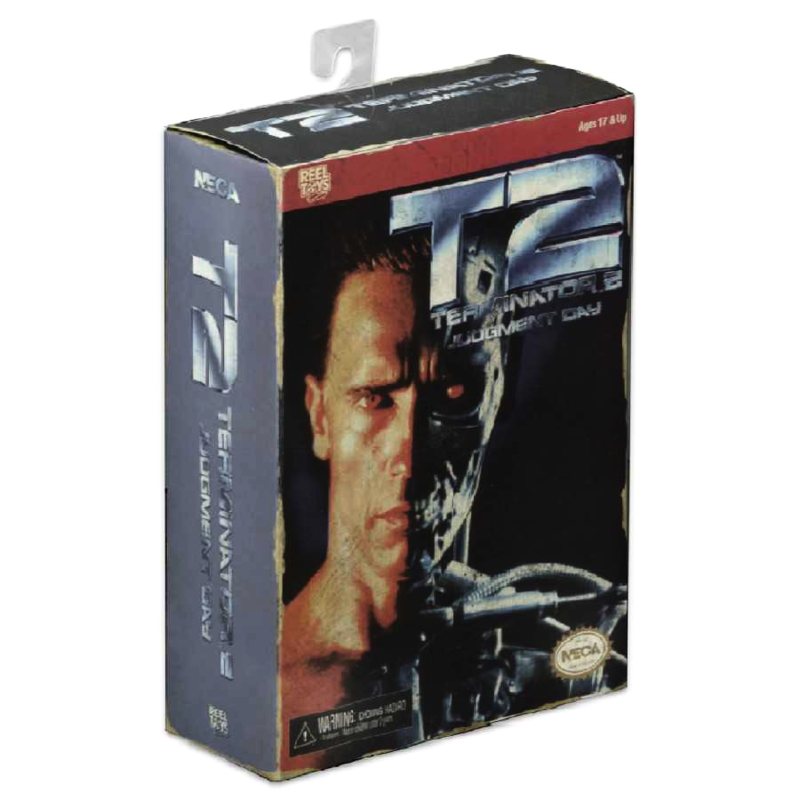 The T-800 is packed in a special window box to re-create the look and feel of the classic video game packaging.